Buying gifts for our family and friends is one of our favorite Christmas activities. We all love putting a smile on the face of someone we appreciate so much! However, buying gifts can sometimes mean spending more than you’re able to, so that’s why you should consider other alternatives. Homemade gift baskets are budget – friendly gifts that allow you to be very creative with both the gift and its decoration. 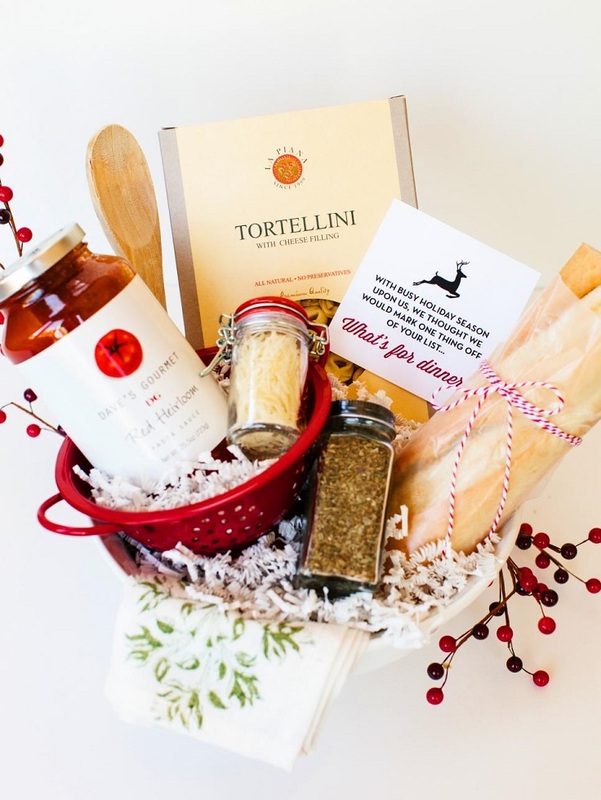 There are many ideas to consider, so we recommend you to read along and see our ten favorite gift baskets. We all have that one friend who really likes wine, so instead of buying stuff they might won’t like or need, how about giving them something that will really put a smile on their face? 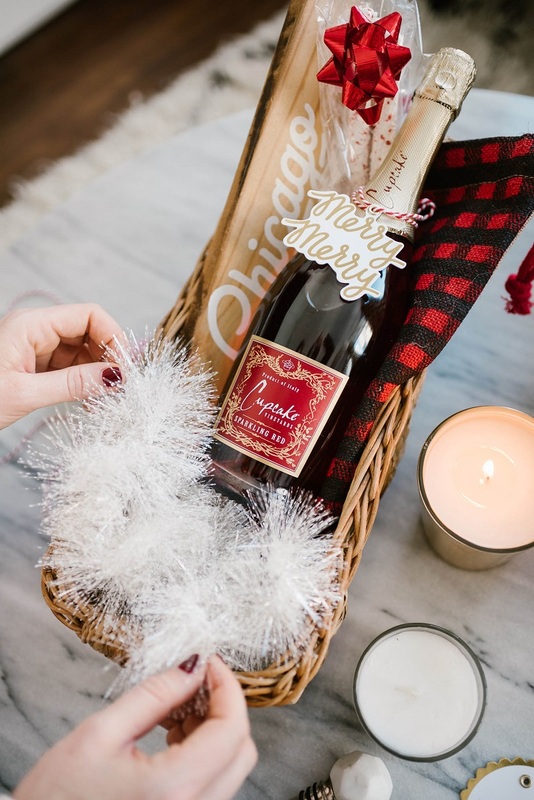 Buy a basket that’s longer than wider, place a cozy burlap towel and place the gift – a wine your close one loves. Add few more things, such as candy and candle. It’s all about surviving the cold season, and one of the best ways to do it is to stay at home, cuddled up in your favorite blanket and indulge yourself in delicious desserts! 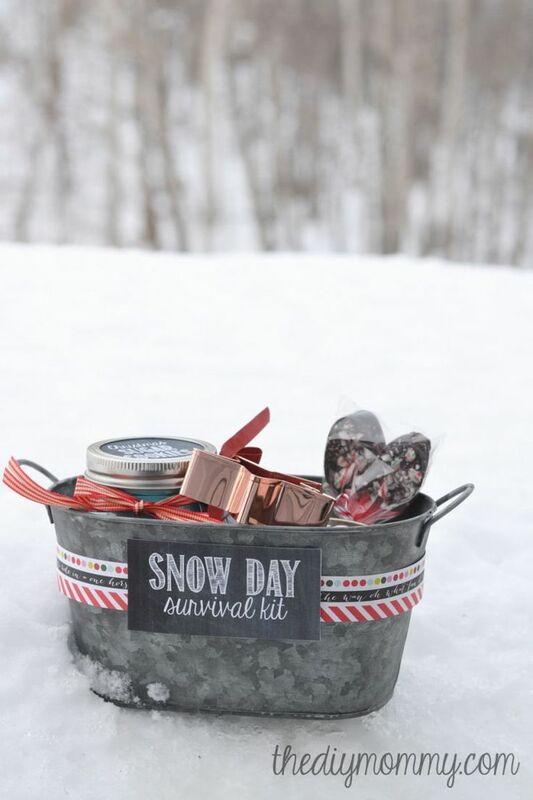 That’s why preparing a ‘snow day survival kit’ will be the a great gift idea for someone who likes desserts in all shapes and size. It all depends on what you’d like to prepare – chocolate spoons, sugar cookies and hot chocolate. Make sure to wrap everything so nice and Christmas-y! We’re back at the drinks, except that this time it’s the sangria we’re talking about. For this gift, you need a drink dispenser to fill it with red or white wine and add different types of fruit, such as oranges and lemons. 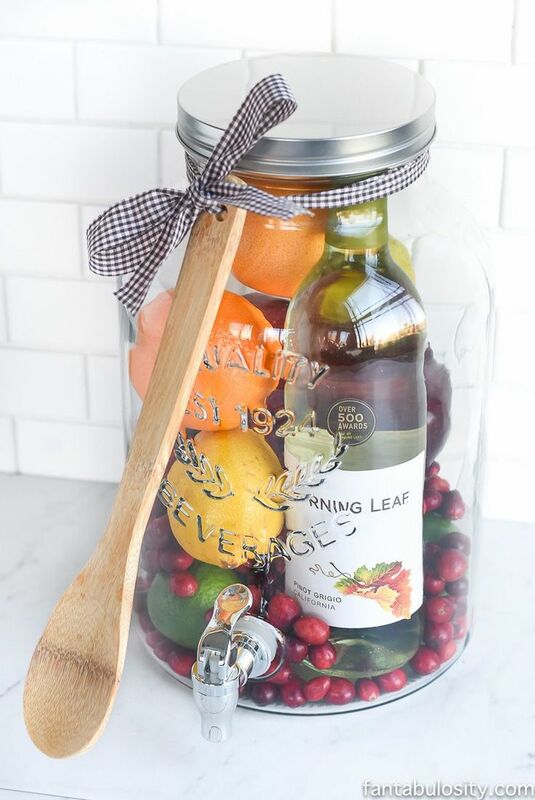 You can also place soda or juice and wooden spoons for mixing the sangria. Last, close the dispenser and make sure to wrap a beautiful ribbon around it. Gifts can be practical too. This is an amazing idea for someone who enjoys cooking. 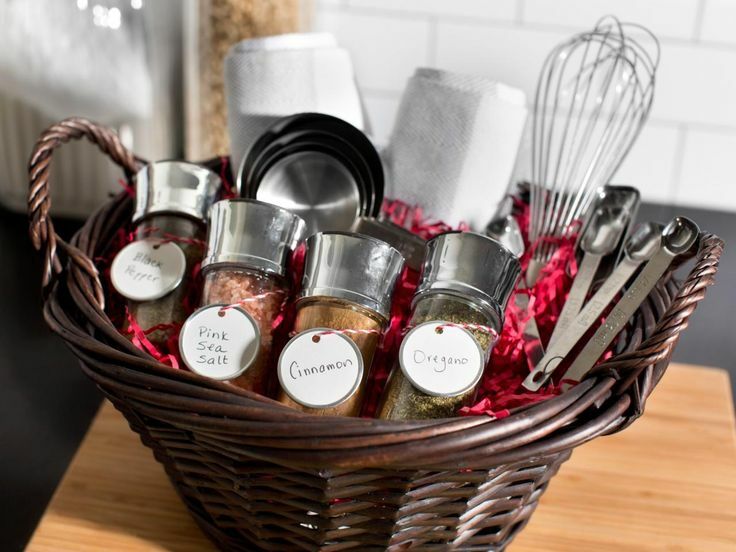 Get a basket and fill it with all sorts of things that everyone needs in the kitchen – tools, gadgets, spices, herbs… Whatever your chef likes or needs! To make it look prettier, you can add red ribbons or gingham towels. If someone can get the proper spa treatment, bring the spa to them! By that we mean to create homemade beauty products, such as body scrub, mixture of essential oils, face masks and so on. There are plenty of DIY beauty products and some can be ready in less than 30 minutes. 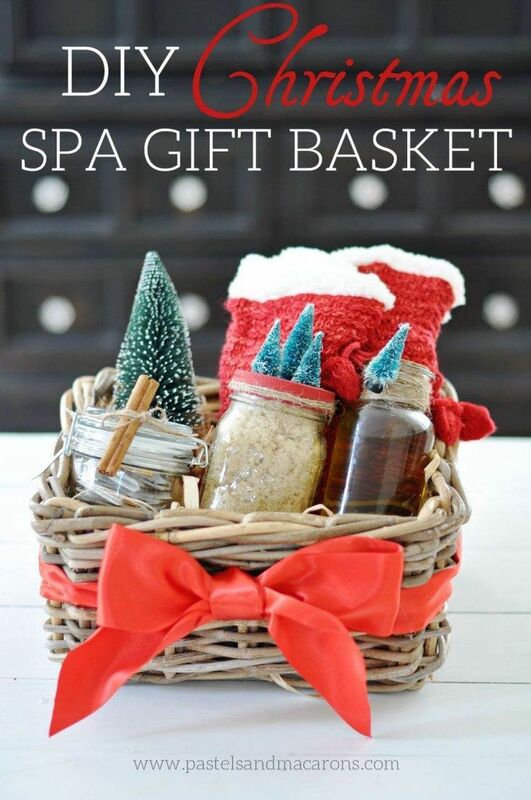 Place all your products in cute little mason jars and then add twine, ribbons, cozy socks… All things Christmas! Imagine your perfect Christmas morning – what would you like to eat and drink? It is such a cute way to tell someone “good morning” and with a gift like that we’re pretty sure it will be. 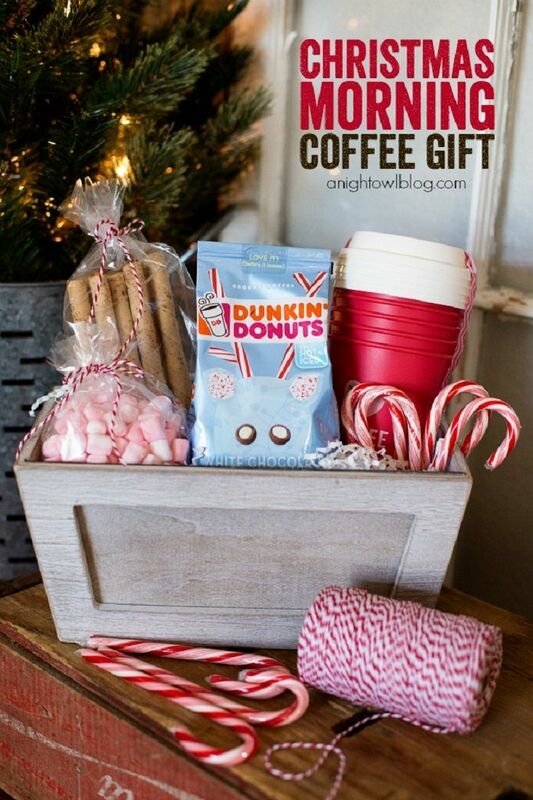 So, what you need to get is coffee cups, fresh grounded coffee, candy canes, wafers, marshmallows and of course, a basket where you can put all these delicious morning treats. Similar to the previous gift basket, this one also includes one of the all time favorite beverages, especially for Christmas – the hot cocoa. Nothing can warm you up as much as a hot cocoa, while you’re cuddled in blanket and watch the snow fall down. 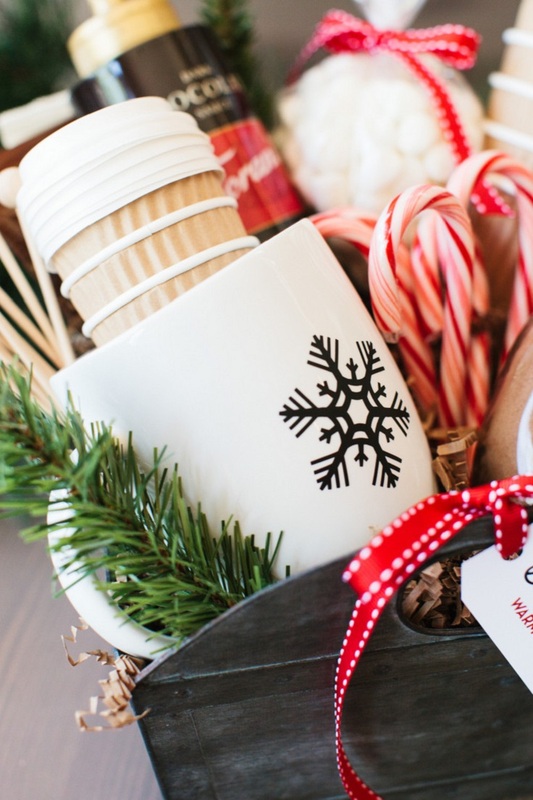 For this gift, you need crate or basket, hot chocolate mix, marshmallows, candy canes, chocolate syrup, ceramic mugs, to-go hot chocolate sipper cups and stir sticks. If your friend is so busy during the holiday, because of job, family responsibilities, whatever the reason is, get them a gift that they can use it to pamper themselves a little bit. 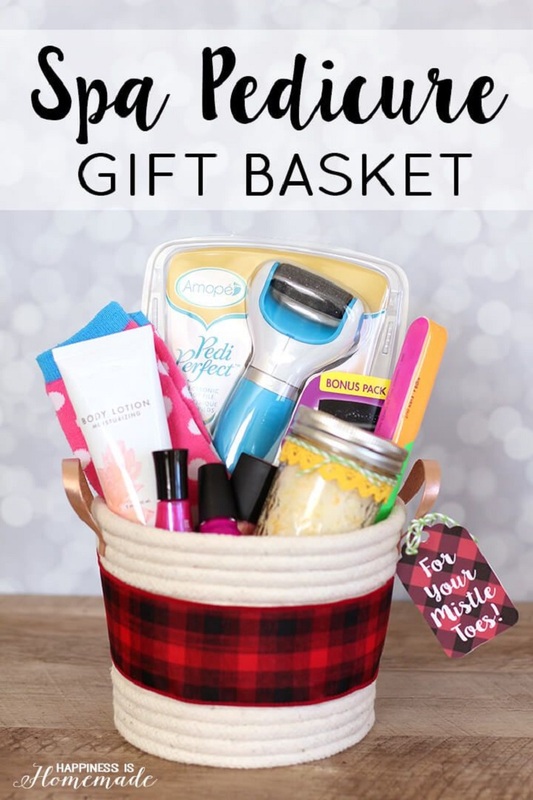 How about a pedicure basket gift? Buy all the things your friend would like – nail polish, cute socks, foot scrub, cuticle sticks and so on. If you can’t go to Italy for Christmas, then get Italy as your gift. It’s very easy to come up with this gift and truth to be told, we’re pretty sure that no matter who you would give it to, will absolutely love it. Italian pasta, sauces, cheese… The list is endless! You can even get them a book with Italian pasta recipes. Practical and delicious! When it’s Christmas, one of the most favorite activities is to watch Christmas movies together with your family or friends. 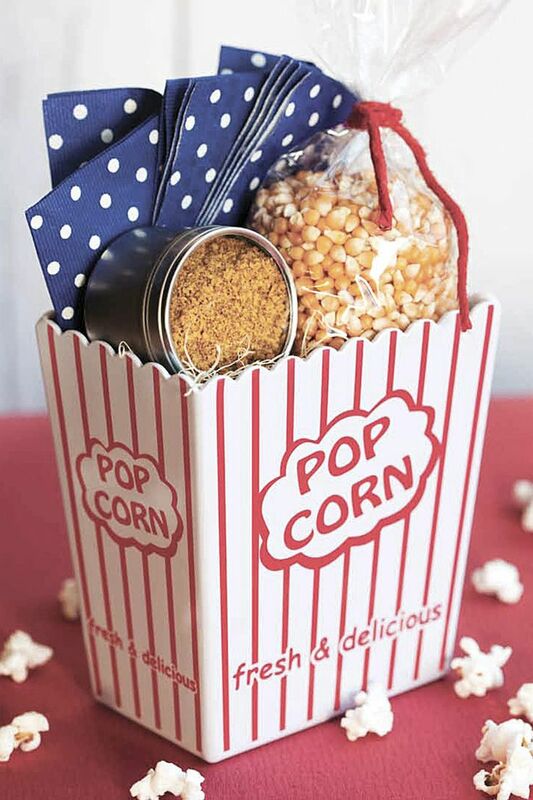 So, why not bring a popcorn kit as a gift? It’s very simple to pull it together and is also very cheap option, which is good if you’re running low on budget. The result will be amazing, because who doesn’t want popcorn on a movie night?